My research is in the area of surface science, tribology, design and characterization of lubricant additives, hard coatings and alloys, as well as high throughput synthesis of multi-component systems. Christina P. Twist, Irene Bassanetti, Matthew Snow, Massimiliano Delferro, Yip-Wah Chung, Luciano Marchió, Tobin J. Marks, Q. Jane Wang, “Silver-Organic Engine Oil Additive for High Temperature Applications”, Tribology Letters 52, 261-269 (2013). 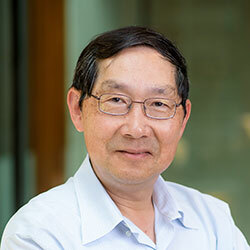 In addition to teaching regular classes in materials science and engineering, Prof. Chung is involved with the development and teaching of one core course (ISEN 220, Introduction to 21st Century Energy Systems) for the Institute of Energy and Sustainability at Northwestern. He is also involved with the Wanxiang Fellows Program, a study-abroad activity that allows selected Northwestern students to learn about sustainable energy and green technologies in China.